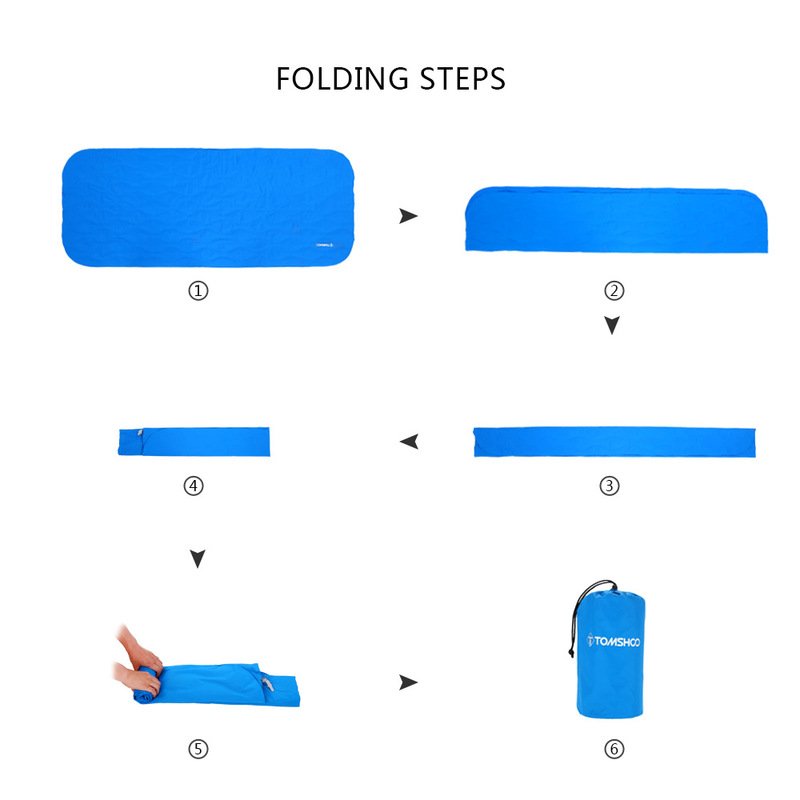 LIGHTWEIGHT COMFY& EASY TO CARRY---The extremely lightweight sleep pad from Woosir is just 460g (16.22oz) and can be folded into an incredibly small form in its carry bag that can easily slip into your backpack to take it anywhere.The unique air-cell design of the inflatable mattress support your whole body comfortably. Let you have a good night sleep on any adventure. 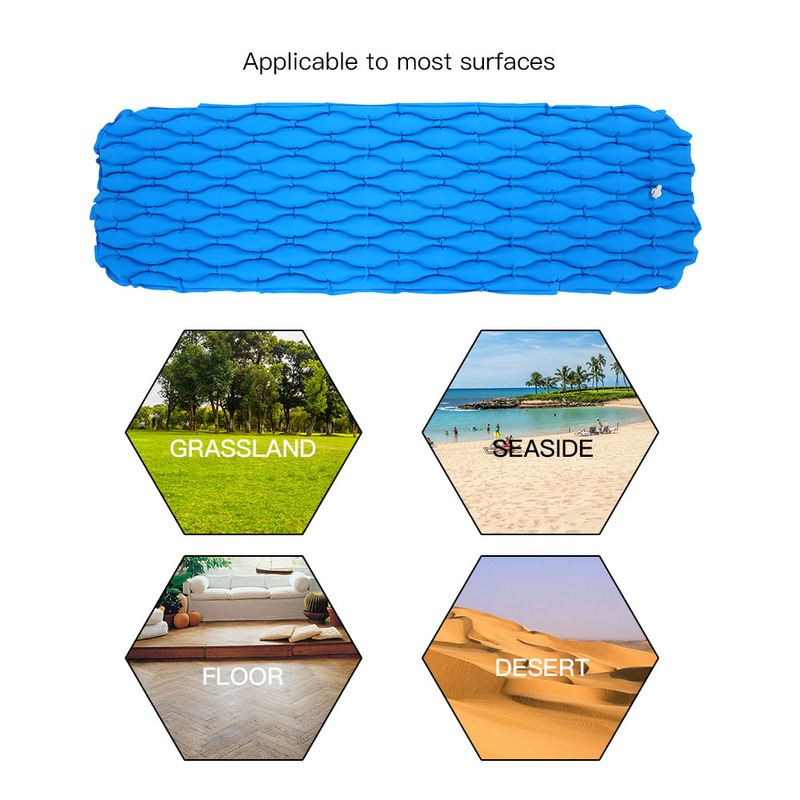 PREMIUM QUALITY,DURABLE&WATERPROOF---Made by reinforced 40D Nylon with TPU coating, much comfortable and safe for your skin. 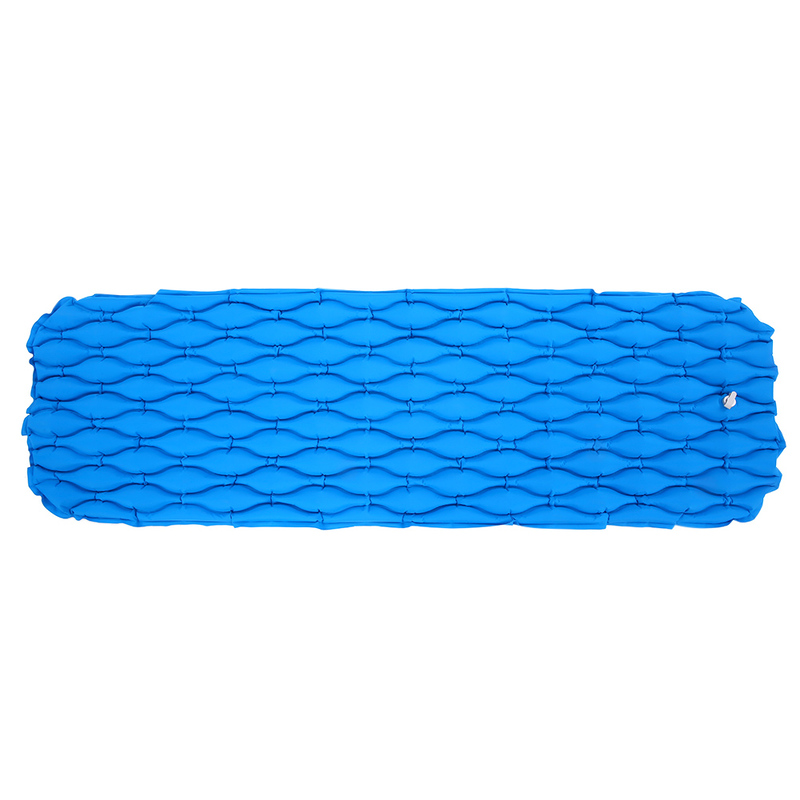 40D Nylon is tougher than others to ensure your pad is wear resistant/tear resistant.TPU coating makes the sleeping pad waterproof. 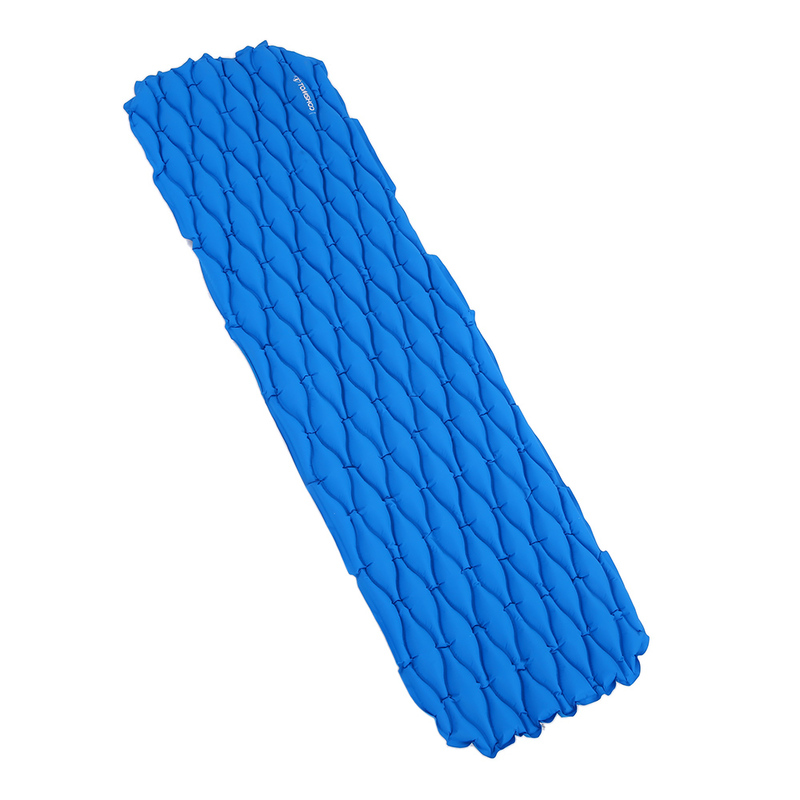 Premium materials let you don't worry about blowup after full inflatable. 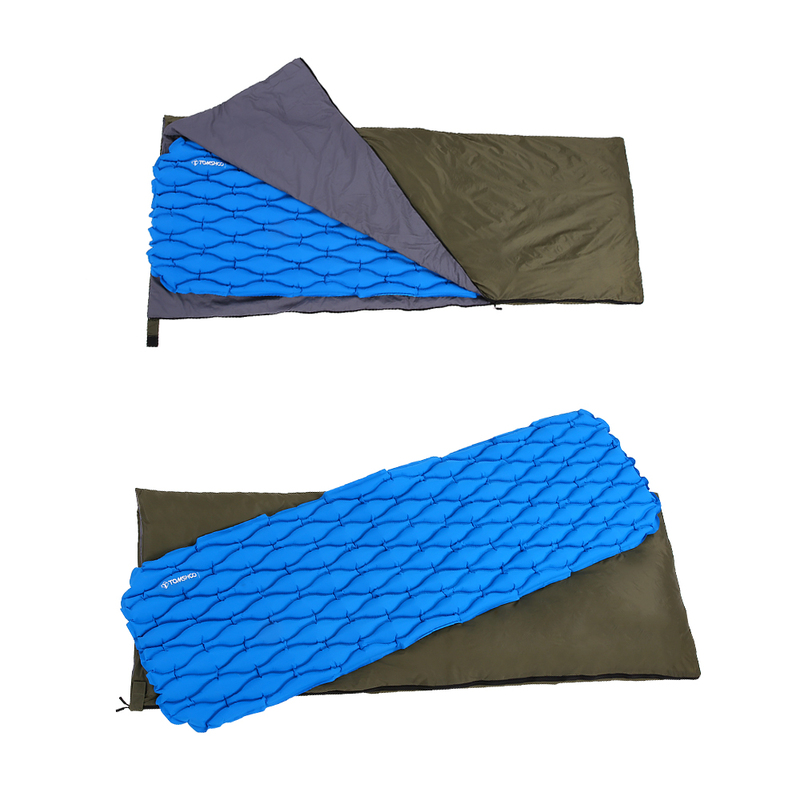 NO AIR LEAKAGE & MOISTURE-PROOF-- The air sleeping mat have a performance better in air tightness,and we do strictly testing the quality before shipping to ensure no leaking for each sleeping pad. Waterproof material keeps moisture-proof all night, no longer worry about ground moisture eroding your body. 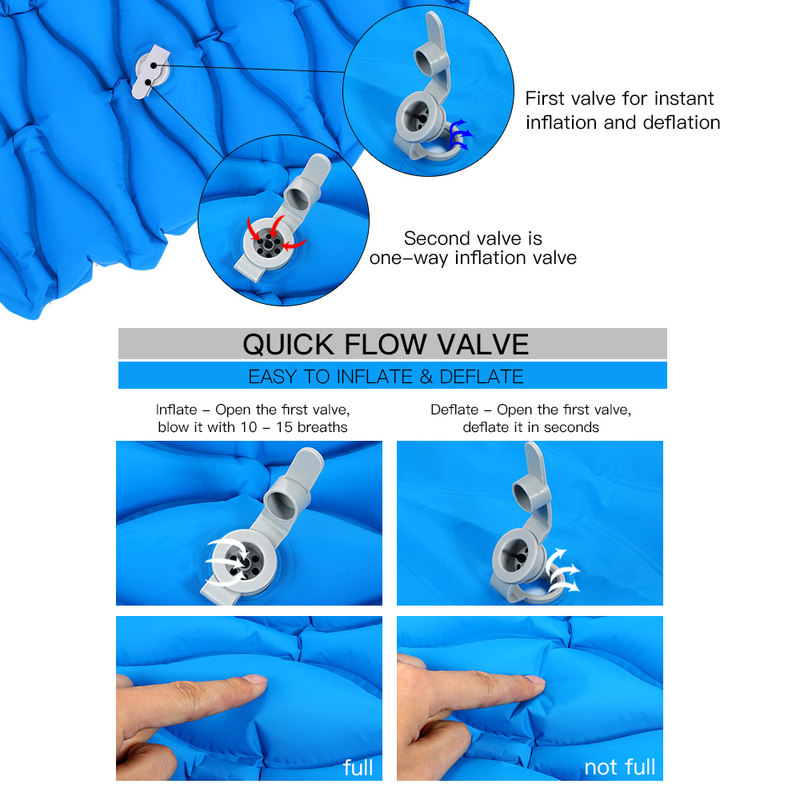 EASY TO INFLATE & DEFLATE--- The inflatable and folding air pad is well hermeticity and comes with an easy to use valve that allows you inflate and deflate easily.Simply open the top portion of the double-decked air valve and blow air into it, only 8-12 breaths. Open the bottom of the valve to deflate just in seconds. 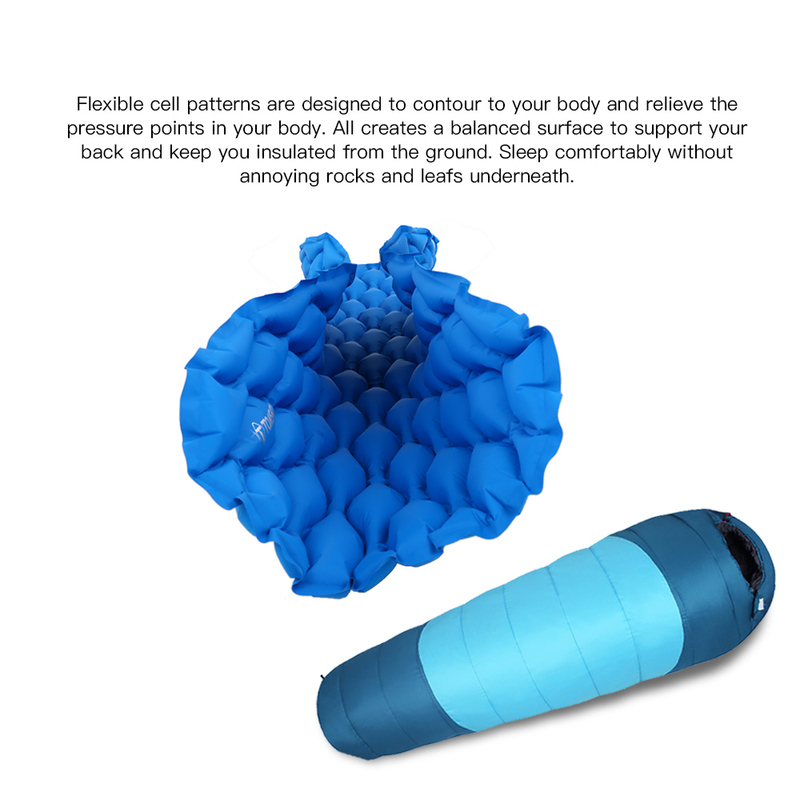 Deflated size:8.7"x3.5",Inflated size:74.8" x 22.1" x 2.4". 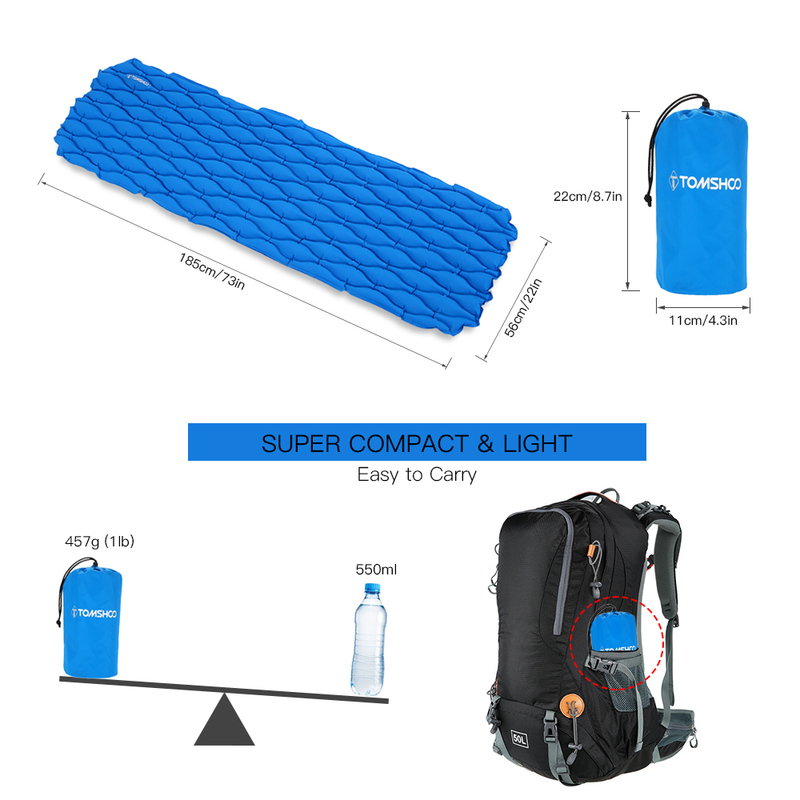 A GREAT GIFT& WARRANTY GUARANTEE---The air camping pad is perfectly fit LATTCURE sleeping bag and hammock,also your tent. 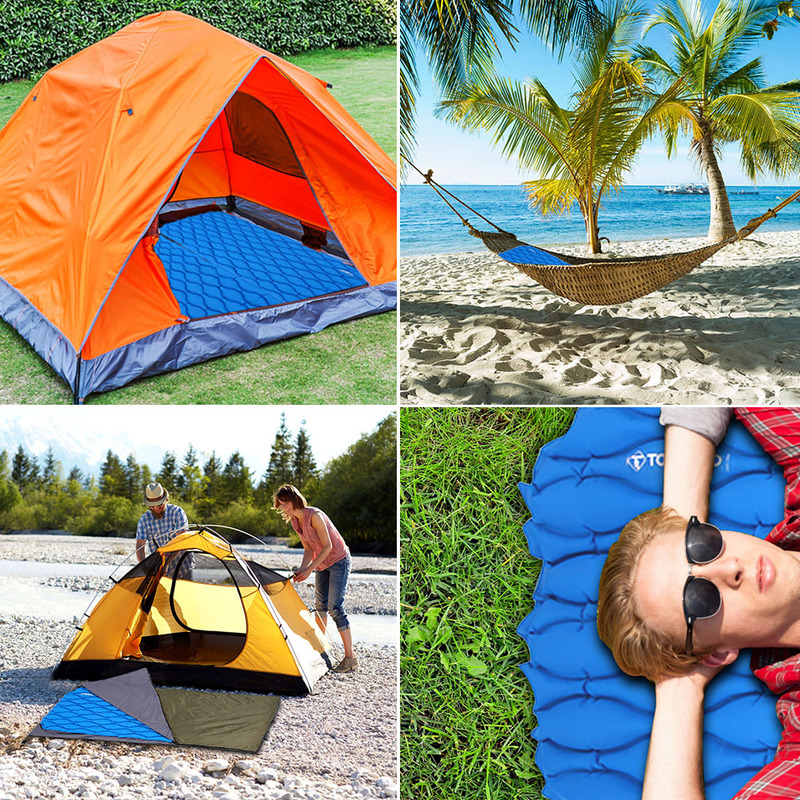 Just imagine to lay your pad inside your tent or hammock or sleeping bag, sit down on it while fishing£¬or enjoying the ocean waves, or looking at sunrise or sunset at the top of mountain,it maybe an extremely comfortable enjoyment.